The voice. Etta’s voice is killer. If you wanna see just how much that can matter for a book, this is definitely one to pick up. 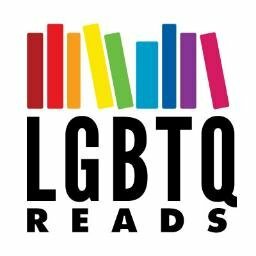 This is a site dedicated to LGBTQ Lit including Picture Books, Middle Grade, Young Adult, New Adult, and Romance. Whether you’re looking for your personal next read or the best way to support your library, or anything in between, I’m here to help you find it! If you’re familiar with my personal blog, you may recall that I have a QUILTBAG Compendium, and yes, that will still be updated and operational in its current functions. However, it was getting a bit unwieldy with all I wanted to feature, and there was so much I wanted to do with it for which there was no space, so, ta da! Yes, there is some overlap in content (although it’s organized quite differently here) and they will be similarly curated, but that’s where the similarities end. The categories you see up top will be monthly features, so each month you’ll meet a new author and get recs for both an older title and a new release, often with some input from those authors as well. Besides that, you can see other themes of recurring posts in the sidebar on the left, and there’ll be guest posts from people involved in LGBTQIAP+ publishing in various ways, information on various queerly bookish things around the internet, and whatever else people throw my way. For more info, check out the FAQ! Of course, no launch is complete without giveaways, so make sure you’re following LGBTQ Reads on Twitter, Instagram, and Tumblr, because that’s where I’ll be giving away some seriously awesome reads! There’ll also be an event I’m really psyched for during pride month to raise money for some places near and dear to my rainbow heart. If you’d like to donate an item, please use this form. If you want more information first, just get in touch! Welcome to LGBTQ Reads – can’t wait to queer up your bookshelves, one rec at a time!